These contemporary fashion sunglasses for women are the perfect finish for a polished chic look. 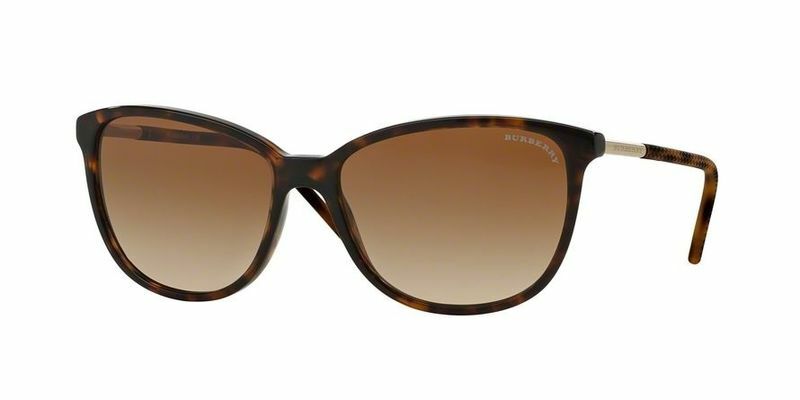 Say meow with these classic rounded Burberry BE4180 frames that flare out at the temples. This popular eyewear trend for women from the 1950s is back. Join the ranks and embrace this playful retro style that beautifies. Perfect for women with square or diamond faces, there's nothing like bringing out the inner-feline in you. If you find yourself being the one to always advocate the latest fashion trends, you need to get your hands on a pair of these hot-selling trendy Burberry BE4180 frames. Go places and set the tone - be a leader rather than a follower and create your own trendy look. For those of you, who have triangular-shaped faces, you should opt for top-heavy sunglasses with high temples such as these to bring about more of a balance.